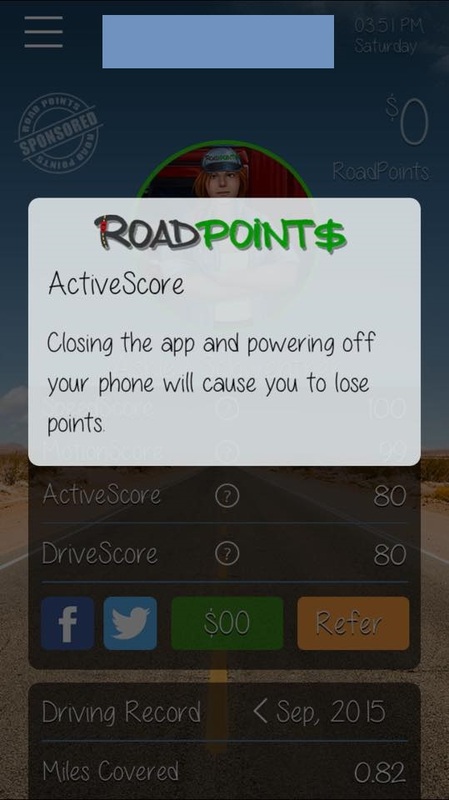 Roadpoints is this incredible new app that allows you, as a parent, to monitor and reward (or punish) your child's driving. 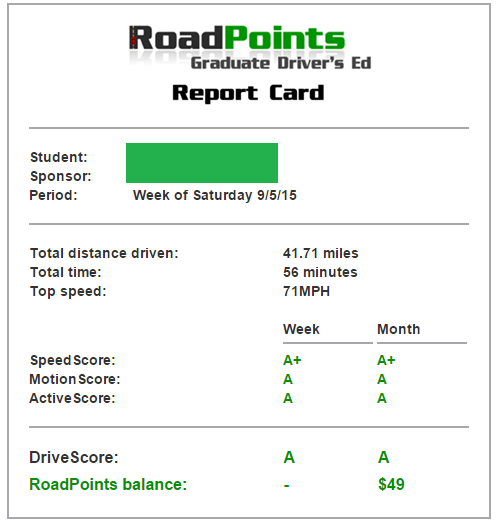 You can sign up for Roadpoints on their website and register your driver by adding their email to your account. The driver will get a link in their email to download the app on their smart phone and you can start monitoring right away. 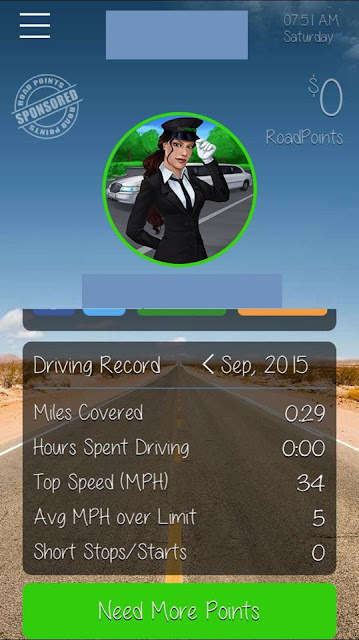 You have the option to add a credit card which will be a means to reward your driver for safe driving. You can set the amount and it can also be used to as a means of punishment for unsafe driving, bad grades, or bad behavior by pausing the payment. Raodpoints will send you an email weekly that will give a run down of the points for that week. Your driver can also see the same information on their app as well. I had a friend of mine test this out for me on her iPhone as I don't own an iPhone and there were a number of things we found that might be a few issues. The first thing is that the app itself has no way of knowing if your child is actually the one behind the wheel. There's no way to know if they are the passenger in a friend's vehicle or on public transportation. The site states that this should be a way for teens to be more careful of who they ride with and how cautious the driver is. The other problem we ran into is that you obviously have to have the app on in the background at all times, even when you aren't driving. If you turn the app off, or if you turn your phone off in general, you lose points. Now, obviously it needs to always run in the background because that's how it works, but teens typically *should* have their phones off while they are in school. As I say should because very few kids do, but this may be an issue. Apps that always run in the background are going to deplete your battery even faster as well. So those are two things to think about when using this app. 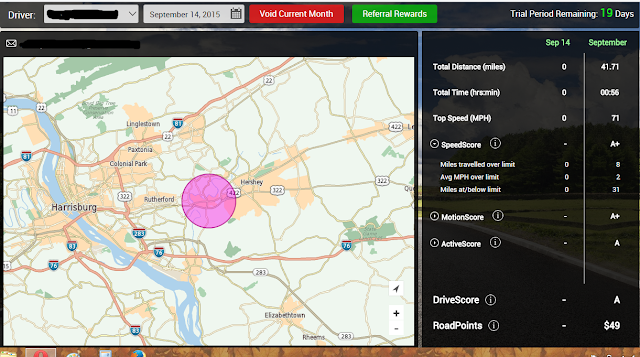 At some point, the app had actually stopped tracking her driving. She started to lose points for things she wasn't even doing. This may have been a glitch because as the report card for the week came into my email, it looks like she did a lot better than the app had made it out to be. Overall I think it's a great idea and it may even be a little bit fun for your teen! You can sign up for a 30 day free trial at www.roadpoints.com and use the code: AMANDA when you sign up for a subscription.